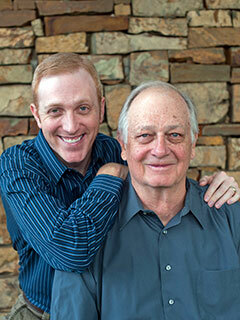 We are very fortunate to have a father and son practicing General Dentistry together. This allows extended hours along with experienced knowledge and the best of the newest techniques in dental care. Dr. Gary Nail was born in Springfield, and grew up primarily in the St. Louis area. He graduated from MU Columbia in 1970 and UMKC School of Dentistry in 1974. He practiced General Dentistry for several years in suburban St. Louis before moving his family to Springfield in 1988. After teaching Biology and Chemistry at Catholic High School, Dr. Gary served in Community Public Health with the Springfield Children's Clinic. Dr. Gary is a member of the American Dental Association, the Missouri Dental Association, the Greater Springfield Dental Society, and has served as a member of the Springfield Dental Board. He has been involved in many educational and sports activities for area youth. In 2007 Dr. Gary was honored with the Rinehart Medallion from the UMKC School of Dentistry. Dr. Jim Nail was born in the St. Louis area and spent most of his youth in Springfield. He graduated from Glendale High School in 1999, MU Columbia in 2003, and UMKC School of Dentistry in 2007. During Dental School, he completed the Senior Departmental Advanced Studies Program in Honors Endodontics, was President of the Psi Omega Dental Service Fraternity, and received the Quintessence Award for Clinical Achievement in Periodontics and the Academy of Operative Dentistry Award. Dr. Jim has worked in Public Health at the Jordan Valley Community Health Center and occasionally fills in at the Children's Smile Center. He also continues to serve the community by volunteering as a dentist at events like the Missouri Mission of Mercy (MOMOM) and the Convoy of Hope Community Day Dental Clinic, and as a coach for local youth baseball teams. He is a member of the American Dental Association, the Greater Springfield Dental Society and the Dental Advisory Board to the Greene County Health Commission. In 2015 Jim was honored with the Rinehardt Medallion from the UMKC School of Dentistry. Dr. Jim Nail also served as a board member and Editor of the Missouri Dental Association, which featured his editorials in their publication, The Focus.